ASC Fashion Week is a platform for designers and exhibitors from different ethnic and cultural backgrounds to promote their brand name. Our mission is to provide brand exposure to the international designers. 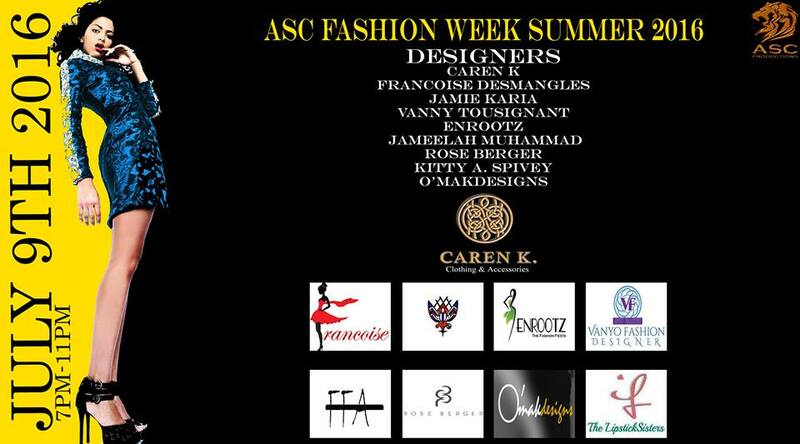 The event will be featuring collections of many talented international designers. It will provide opportunities for the designers and vendors of different nations to exhibit their products on an international level. The event will be attended by fashion buyers, media and an expected guest list of 500 people. The production team comprises of a huge number of makeup artists and hair stylists, international models, our asc casting director, team organizers, promotional managers and international talent scout. Having presented a highly successful spring event ,with the showcasing of the most impressive collections by notable internationals fashion designers & brands, this year’s fashion followers are set for an exciting fashion experience with the announcement of the Summer party . 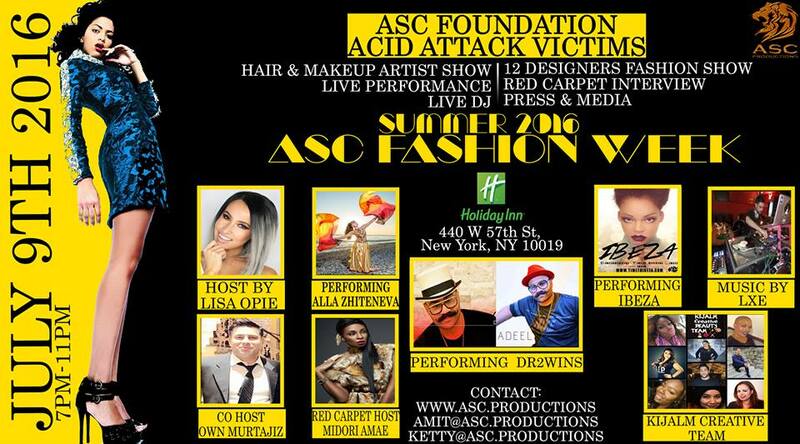 Establishing a milestone in New York fashion landscape, and in line with the global fashion calendar, ASC will taking place 3 time a year with Spring / Summer/Fall . Live art and entertaiment will also be featured throughout the night by Alla Zhiteneva,Dr2wins,Ibeza and musig by our famous Dj LXE. Our celebity host Lisa Opie and co host Own Murtajiz ,ang gorgeous red carpet host Midori Amae will welcome you in style,see you all at the most fabulous summer event! "LET US UNCHAIN THE CHAINS OF MISERIES"